A week ago I was able to photograph yoga on the bridge between Lafayette and West Lafayette. 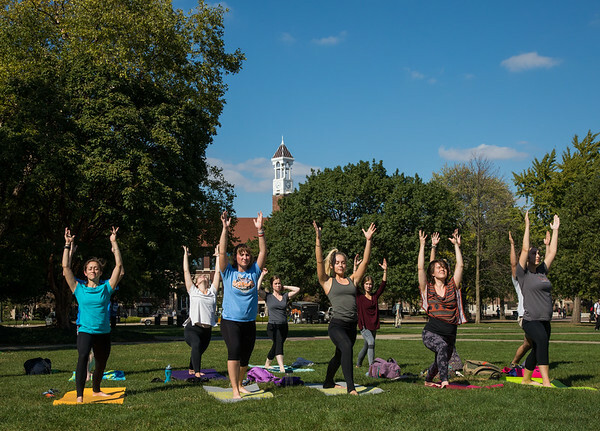 This week I went down to Purdue to photograph yoga on the memorial mall. The group at Be Moved Power Yoga has some interesting locations that they choose to do their thing. I thought that this one could produce some nice images. I was right as things turned out perfectly in my favor for some nice photos. Just before things started I walked over to the John Purdue statue with my daughter to check it out. It was then that I noticed that his eyeline was right at the yoga group that was warming up. When they started I made this my first shot of the day. 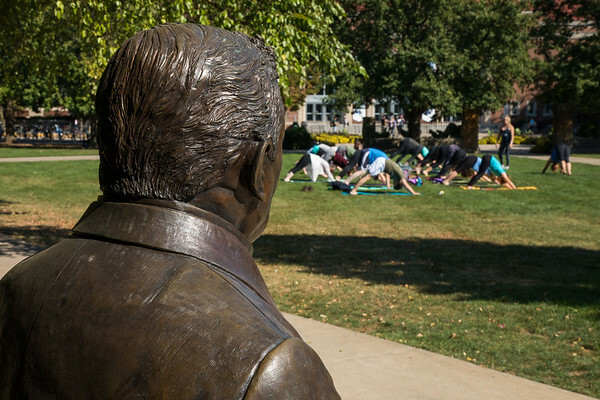 I like the idea of the founder of the university checking out what is going on there. Part of the fun of something like this is that it is not about the yoga. 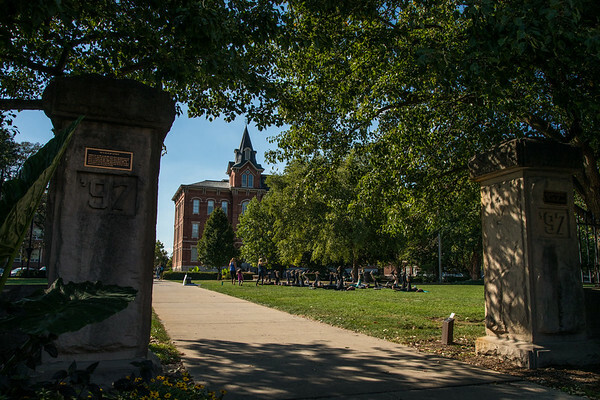 The shots that I sat on and waited for were all about placing an element of Purdue into the frame. If I want to get shots of yoga being performed I can do that in the studio with some lighting to be able to control the light. Here I just wanted to find as many elements of Purdue to put into the frame to document the event. That is the best kind of event as you can just sit back and wait for things to come your direction.